More than 100,000 United Nations peacekeepers are serving in the cause of peace around the world today. They do so at great personal risk and in harsh conditions. In places such as the Central African Republic and South Sudan, peacekeepers save thousands of lives, protect civilians against violent attacks and support the delivery of crucial humanitarian assistance. Senegal has partnered with the UN Peacekeeping to participate in peace operations in numerous hotspots. Currently, the country is the eighth largest contributor of uniformed personnel to UN peacekeeping, with more than 3,000 troops and police across six missions. Over the years, 79 Senegalese personnel have made the ultimate sacrifice, losing their lives in service to peace. Among the most notable Senegalese heroes is Captain Mbaye Diagne of Senegal, who saved hundreds of lives in 1994 while serving as a peacekeeper in Rwanda before succumbing to a fatal injury incurred while on duty. 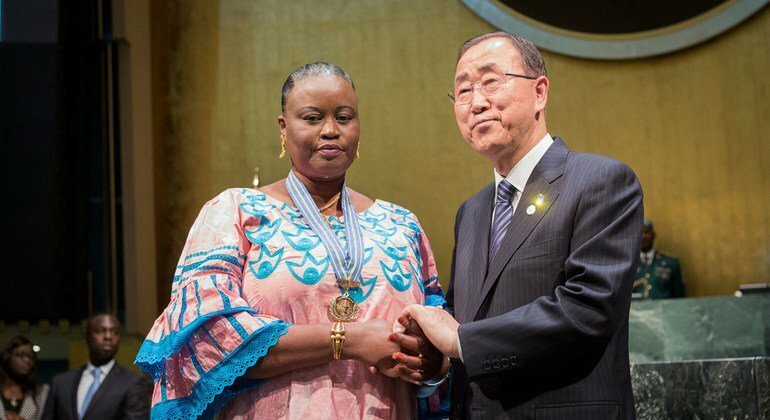 In May 2014, the UN Security Council created the Captain Mbaye Diagne Medal to honour military, police and civilian United Nations or associated personnel who demonstrate exceptional courage in the face of extreme danger. Two years later, the inaugural medal was awarded to Captain Diagne’s family at a ceremony at UN Headquarters in New York. Guinea: Citizens are struggling to join the collective sanitation and the government is questioning itself.